On April 27, 2017 a cardboard box arrived in Breslau, Ontario. Large, worn by travel and purposely over-taped, the box was laden with “heavy” caution stickers. It contained over eight years of effort. All 95,581 original Charter of Health Freedom (COHF) petition signatures had arrived. NHPPA ran out of Kamloops since 2008. When that space was made available to new tenants a number of years later, NHPPA left and the petitions were relocated to another secure location within the city. 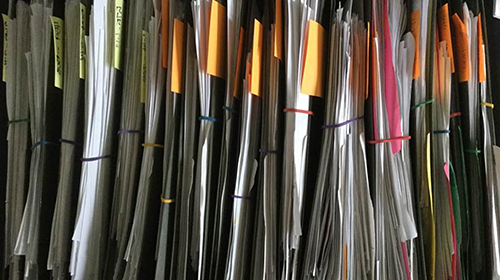 Over the last four years while the industry complied with the current regulations, one of Canada’s largest federal paper petitions dedicated to freedom of choice, rested. The rush of signatures waned but never ended. With a new Health Canada threat revealing itself, NHPPA’s presence is back to advance an industry call for help. Part of the work is running specific push back campaigns. One of which will reignite signature traffic to the petition. 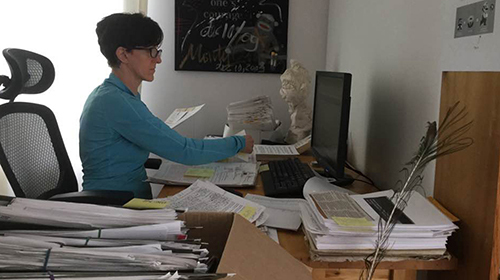 NHPPA’s national campaign manager requested all of the petitions be sent to the new Ontario office for a full recount and crosscheck. The numbers submitted to Parliament need to be as accurate as possible. The focus was on integrity. Each folder, inside the shipped box, held a bundle of petition pages. 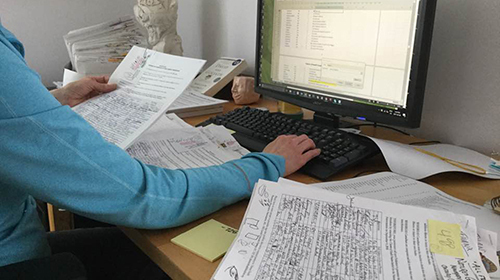 Individual pages were accounted for and their order confirmed by cross-referencing the information on the Master COHF Petition Excel document. 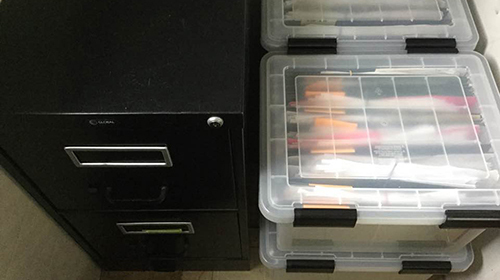 The petitions were then organized in numbered groups and stored safely in new, water-proof containers. The three day review found only a few flaws in an otherwise very well populated and preserved document. Out of the 1655 line entries over eight years, the most significant find of the few out-of-place or missing petition pages, was 815 brand new signatures! 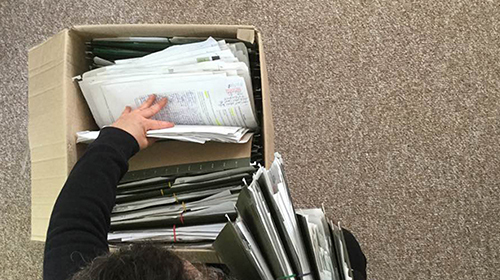 We believe that the shift in Kamloops had petitions placed in the boxes without access to update the Master Excel document. This recount, plus recent mailed in petition pages, brings the COHF petition closer to a significant milestone. Every signature on the COHF petition is a demonstration of solidarity bringing a visionary ideal to the regulatory landscape that is consistent with Canada’s laws. As of June 21, 2017 the signature count stands at 96,497, just 3,503 signatures short of 100,000, making it the largest federal paper petition in the past 20 years and the second largest federal petition on record (including e-petitions) since the historic Canadian Bill of Rights petition in 1949. Read our latest and complete update on where the COHF Petition stands! Thank you to every. single. person. who has taken the time to help collect signatures and who has personally put pen to paper! E-petitions were not legally recognized by the Canadian government in 2008 when NHPPA started its petition campaign. It wasn’t until December 2015 that Parliament began accepting e-petitions. Under the new system, e-petitions that garner at least 500 signatures and are sponsored by an MP will be tabled in Parliament. E-Petitions are only open for signature collection for a period of 120 days and, once tabled in Parliament, will, as is standard, receive a response from the government within 45 days. E-petitions are exciting and new, and they create an opportunity to have an issue presented government for consideration in a relatively short period of time. However, they cannot be combined with or replace an already pre-existing paper petition. It would be an extraordinary amount of work for the Clerk of Petitions or the Privy Council to cross reference the signatures gathered on the paper petition with any signatures collected online. NHPPA would have to start a brand new Charter of Health Freedom e-Petition, from scratch, having to go through the entire validation and acceptance process again. The COHF petition will remain, and be submitted to government, exclusively on paper. 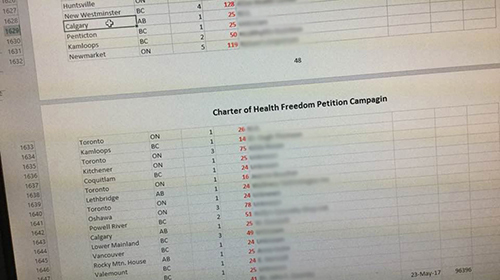 We are putting the finishing touches on a new Charter of Health Freedom practitioner petition drive, launching this summer. Naturopaths, TCM practitioners, Holistic Nutritionists, Integrative Medical Doctors, Homeopaths, Functional Medicine Practitioners, those using novel technologies, Aboriginal and Indigenous medicine practitioners and many other practices will feel the impact of Health Canada’s new proposed regulatory scheme. If the restrictive nature hasn’t been applied to you yet, it absolutely will, in one way or another. Quality manufacturers and respected retailers in cities across Canada have been damaged in many ways for almost a decade. The inappropriate, flawed and further unconstitutional changes will broaden those affected. Practitioners and their practices will be at risk. Sadly, these regulations are not the only elements destabilizing a once robust and vibrant industry. Manufacturers would fare well to look at NHPPA’s historic and accurate analyses to trigger a shift from compliance to push back. Products that practitioners have been using to safely and effectively to treat their patient’s health concerns are, again, at risk. Contact your local retailer or manufacturer of the NHPs you buy and ask them about their previous losses. Some of the products, you’ll find, had been used for decades, if not centuries. NHPs are the tools of the trade for many practitioners. The upcoming COHF practitioner drive, which features amazing incentives and prizes, is part of our final blitz to drive our petition signature count, through practitioners, to a goal of 125,000. This campaign will help raise public awareness, of the largely unknown issue, potentially into the tens of thousands. The campaign launches over the summer. Have your clients subscribe to NHPPA’s email list. Share this with colleagues and peers so they can get on our email list when the action to protect our practices starts. Watch Shawn Buckley’s interactive video guide, of the Charter! Not a practitioner? We still need you! We want everyone to have the opportunity to add their names to this national petition demanding the freedom to choose safe and effective natural health products and the right to pursue a lifestyle that honours natural health principles. Download a printable version of the Charter of Health Freedom petition and ask everyone you know – your family, friends, colleagues, classmates, clients, customers and anyone else you can think of – to sign it! Thank you for participating in a powerful action designed to take our message to government.